People may be surprised to see me review a laser collimator given my well known dislike of lasers. Generally speaking laser collimators tend not to work well without a fairly high precision focuser as the focus slop created by most focusers generally leads to inconsistent results and very often to large amounts of frustration for the user. 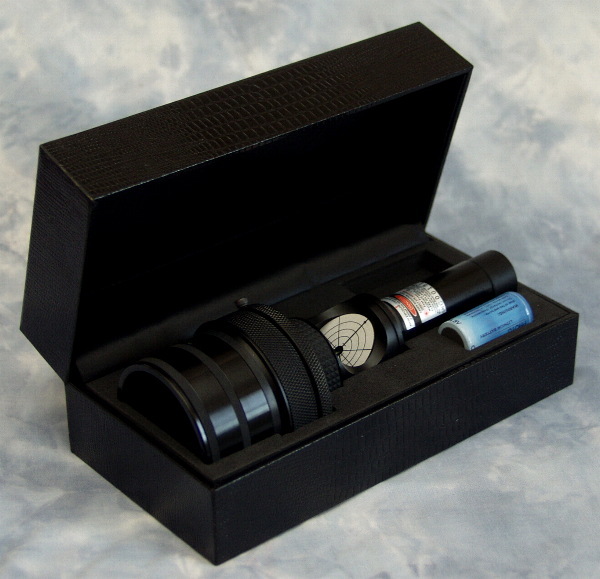 The HOTECH laser collimator comes in a rather natty box in a kind of black faux crocodile skin. Inside the box the collimator rests on a die cut foam insert together with its battery which is an unusual size (CR123 A) but readily available from most photographic stores. The whole presentation is extremely slick and oozes quality. The collimator itself is made from a combination of metal plus machined high grade acrylic plastic. The overall impression of the unit itself is one of great quality and precision. This view was only reinforced by use and the results it showed. Something to bear in mind is the HOTECH collimator is a little different to most and so a good read through of the supplied comprehensive instructions is to be recommended before you play with it. Sorry guys I know most of you love to play first but on this one I really suggest reading the book before you play. Above - The Hotech Self Centering Laser Collimator in its box. The unit, rather than rely on the telescope focusers thumbscrew lock, relies instead on an ingenious mechanism whereby several thick rubber strips on its nosepiece are compressed into the focuser by a compression ring on the collimator. 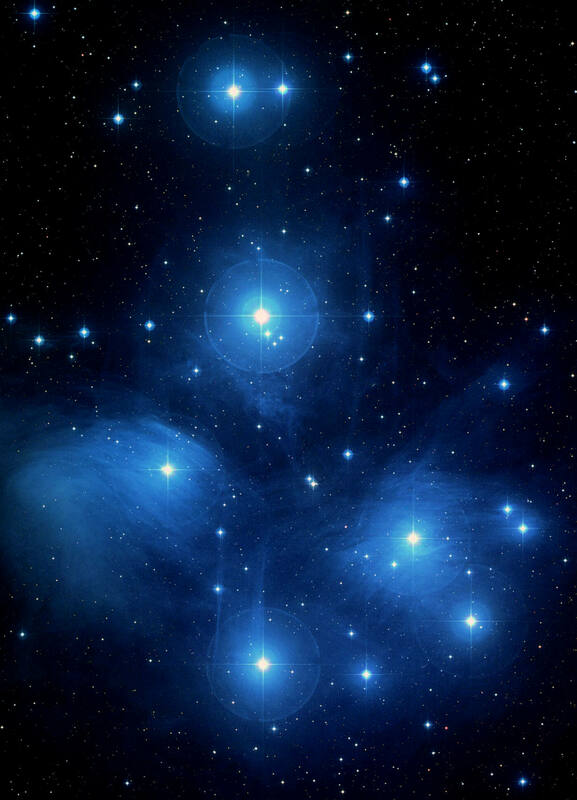 These can be seen in the photographs. The effect is that the collimator always finds the exact centre of the focuser which provides very accurate and reliable collimation. Testing showed the laser to be perfectly collimated to itself straight out of the box. The laser is bright and almost completely circular in shape unlike many other laser collimators which show a rice grain shape and are often inaccurately collimated. There is no brightness adjustment on the unit which I personally found to be little loss. The laser is switched on and off by twisting the end cap of the battery compartment. If I bought one of these I think I'd be inclined to keep the battery out of the unit when not in use to prevent accidental switch on and a flat battery when you least need it. To test the unit I applied it to my own Sky-Watcher 200 which was already in collimation using a standard Cheshire to see if the laser would agree with the Cheshire. Most low cost lasers never do. To my surprise the HOTECH unit showed a slight variation but was almost spot on. 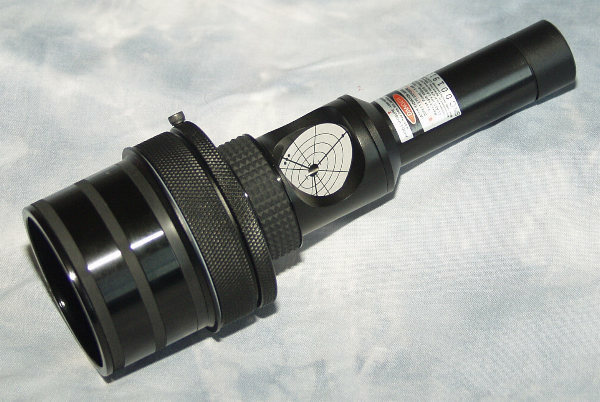 A small tweak of the secondary and the primary bought the scope to collimation with the laser and a check with the Cheshire showed perfect collimation. I then decided to upset the collimation completely and start from scratch to see if the HOTECH could do the job. Obviously you still need a sight tube or colicap to align the secondary to the focuser and check that the secondary is true but beyond that I used the HOTECH and found on examination with the Cheshire that collimation was always very close - the small differences would be due to the Cheshire itself and my eyes rather than any fault in the HOTECH collimator. My own Cheshire is not nearly so well engineered as the HOTECH product. One of the neat features built into the unit is that the laser grid faceplate has three thick lines marked onto it - these correspond to the primary mirror collimation screws. With a little practice you can immediately see which screw needs adjusting. It's a thoughtful touch and furthers the impression that this piece of equipment has been thought through very well. Above - The Hotech unit - its well designed and well made. The unit will handle both 2" and 1.25" focusers. The 2" nosepiece is held on to the main collimator body using the same self centring technique that the unit uses to lock itself to a focuser so if you have a 1.25" focuser you can still take advantage of the units full capability. I had planned to test the unit in a slightly less sophisticated scope but unfortunately the scope on loan had to go back before I was ready. As a result I was only able to test the unit against my own Sky-Watcher 200 but on that basis I was very pleased with the product. If you like lasers or are considering getting one then the HOTECH is indeed worthy of serious consideration. The list price is expected to be around £120 which I would consider fair for such a high quality product. This article originally appeared in Look-Up Magazine.